Kratom has become increasingly popular over the past few years. Many people are interested in it because they believe it might provide an alternative to taking opioid pain medications. It’s pretty easy to access in the United States because it is sold as a natural supplement and can even be found in kratom-specific vending machines! The Food and Drug Administration (FDA) has issued a number of warnings regarding the use of kratom, and it is an illegal substance in many countries, including Australia, Denmark, Germany, Malaysia, and Thailand. Even in the midst of all of this, some people continue to swear by kratom, causing controversy and heated debate. 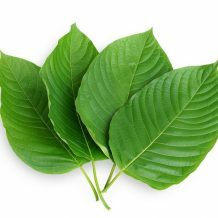 Kratom is actually a tree that grows in Southeast Asia. It has been traditionally used to treat chronic pain and opioid withdrawal because, guess what – it contains opioid-like chemicals that bind to the opioid receptors in the body (just like prescription drugs and heroin). As I already mentioned, kratom can be bought in a wide variety of places across the country, as well as online. It is typically sold in packets of powder that can be prepared in a number of ways. Some people use kratom as a recreational drug in order to get a high, but most people have turned to kratom in order to get off of the opioids that they have become addicted to. Kratom binds to the opioid receptors that those drugs also bind to, which helps to eliminate the symptoms of withdrawal. But going off of kratom also causes withdrawal – so taking kratom is often a placeholder measure that delays the inevitable for many people. One of the chemicals in kratom is about 25% as active as morphine. Another chemical, however, is about 10 TIMES as active as morphine. And the amount of each chemical in one batch of kratom can vary widely. Kratom can contain more of the super active chemical if it is grown or processed in certain ways. Even simple factors, like how old the plant is, can make a big difference in which chemicals the finished product contains. There is no regulation on the way that kratom is harvested or processed, and no standard for the final chemical makeup of the powder. As you might imagine, this can mean that kratom can cause different effects depending on the batch, and this can be cause for concern. Withdrawal: Stopping kratom can cause withdrawal. Addiction: Kratom itself is addictive (just like the opioids that people use kratom to avoid). Gastrointestinal side effects: Kratom can cause nausea and vomiting, loss of appetite, and constipation. Life-threatening risks: Kratom can cause a person to stop breathing. It can also cause seizures, hallucinations, and liver damage. Unfortunately, using kratom can be far more dangerous than using the prescription opioid products that many people are trying to avoid. Because prescription opioids are regulated and standardized, we do not have to be concerned with the unpredictable effects that can occur between batches. And just like opioids, kratom is an addictive substance, and going off of it can cause withdrawal. Although it might be advertised as a ‘natural alternative’ to opioids, this is, unfortunately, misleading. In reality, it truly is an opiate, and comes with the same risks (and then some) of the prescription products that people are trying to avoid. The obvious alternative would be prescription opioid products. But I would not recommend this for the vast majority of people. Opioids have a lot of negative side effects for anyone that uses them, and especially so for people with chronic GI conditions. In fact, there are much better options to consider for treating chronic GI pain. I have an entire series on pain that you can look at here. I also have specific articles on medications for pain, natural products for pain, and alternative therapies (such as yoga, meditation, and more) for pain. While some people find that opioids are the only options that work for them, many people find that they are able to manage their pain just as well (and have better quality of life) by using a mix of other options instead. Interested in learning more about natural products for GI conditions? You can check out the entire library here.